The backstage view is a place where you can perform operations on the file. The backstage view was first introduced in Excel 2010 and is still present in Excel 2013. In earlier releases, including Excel 2003, many features from the backstage view were present under the File button. In Excel 2007 for the first and last time, you could find these options under the Office button that was located in the upper left corner. If you want to display the backstage view in Excel 2013, you need to click the FILE tab. After you do this the backstage view will appear. On the left side, you will find a green area with menu items. If you click one of them, options that are related to the selected category will appear on the right side of the screen. 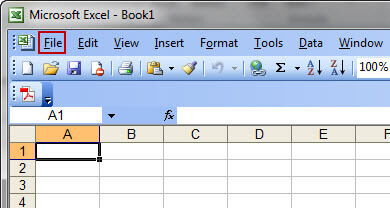 If you want to return to your spreadsheet, click on the arrow in the upper left corner or press the ESC key. Here, you will find a variety of information about the file and a list of backup files of the currently opened document. In this category, you can create a new file. It can be a blank sheet or one of the many available templates. This category contains a list of recently opened workbooks. Additionally, you can load a file from a disk or cloud services. Here, you can save a file in the cloud or on your hard drive. Under this button, there are options that will let you adjust the document parameters. You can set margins, scaling, orientation, the number of copies or choose one of the available printers. On the right side you will find a preview of the currently edited spreadsheet, so you can know exactly how it will look like after you print it on paper. Under this tab, you can share your documents with other users. 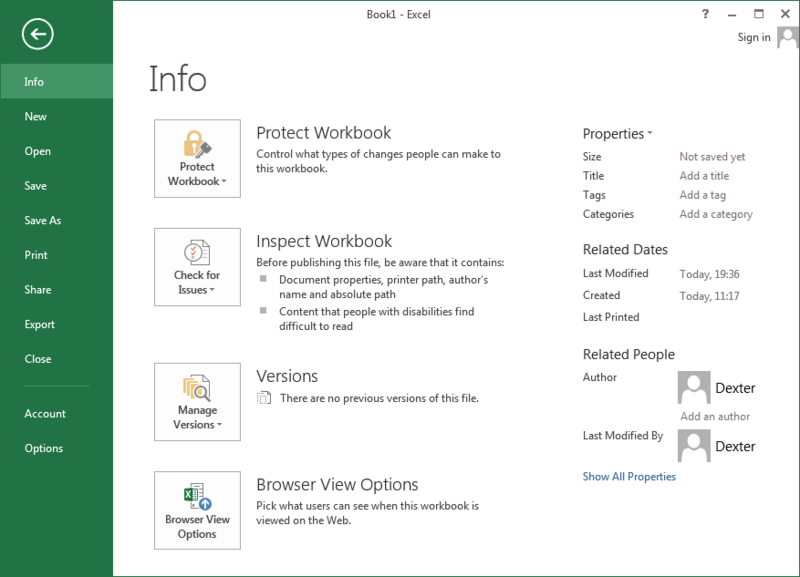 If you want to change a workbook’s file type, for example to an xls extension (Excel 97 – 2003 format) or save the file as PDF, you can do it here. Choose this button if you want to log into Excel. Click on this position and a new window with many different options will appear. Here, you can customize a lot of Excel features.